5th Rabi’ ul-Awwal 1438, Sunday was packed with ‘Aqeedat-mandi, Khuloos, Mahabbat, Dedication, Mubaarak-baadi, Creativity, Thrill, Delicacies, and Merriment etc. 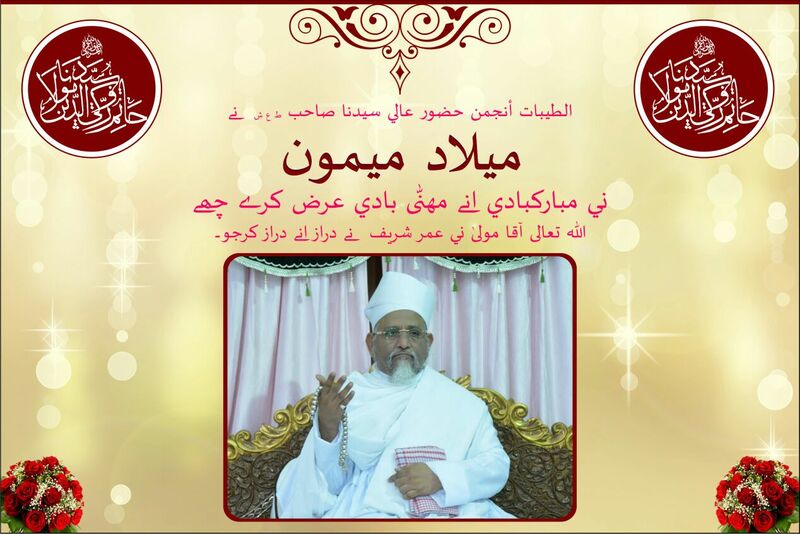 Each and every person was in Farhat and Masarrat as the community as a whole celebrated 59th Milaad e Anwar of our Beloved Bawaji-e-Haneen Haatim ul-Khayraat, Rabi’ ul-Barakaat Abu Sa’eed il-Khayr Saiyedna Haatim Zakiyuddin saheb (tus). Aqaa Maulaa bestowed Razaa Mubaarak to at-Taiyebaat committee to arrange various programs for all ages throughout the day to celebrate his Birthday which fall on 8th Rabi’ ul-Awwal, Wednesday. 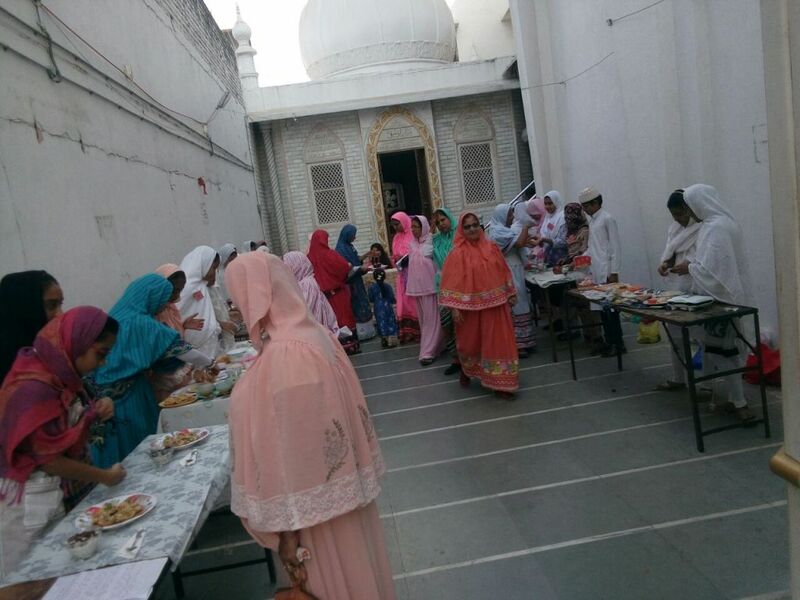 Candidly following the Farmaan-e-‘Aali, at-Taiyebaat committee successfully organized beautiful and graceful programs. 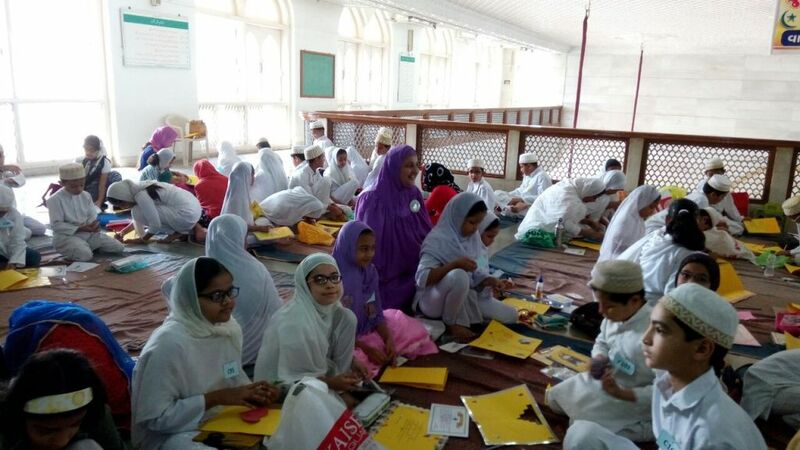 In the morning 9:00, the sea of children gathered in Badri Mohalla for Happy Drawing Competition, Milaad Card Making Competition and Non-Gas Cooking Competition. 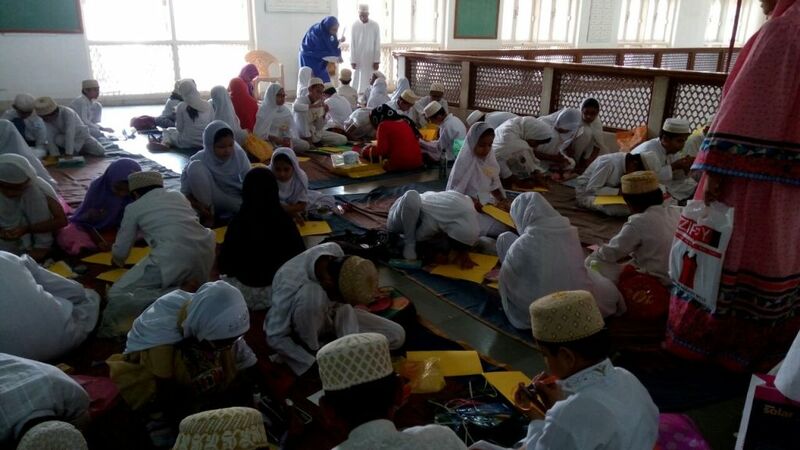 85 Children enthusiastically drew, sketched and painted the Real Spirit of Milaad by writing Catchy Messages and Du’aa-e-Sehhat for our Aqaa Maulaa by their tiny hands. Participation certificates were handed over to all the participants of Drawing Competition. Card Making saw the maximum entries of 110 including Mumbai, Bangalore, US, Dubai etc. 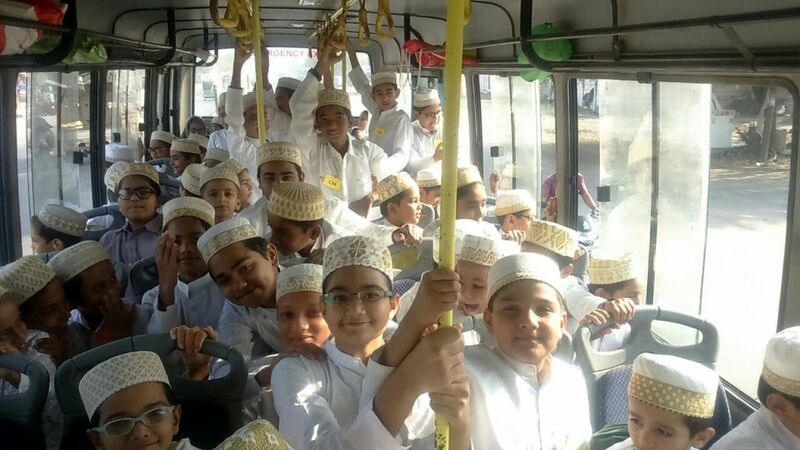 Laced with all accessories, children made attractive cards with Aqaa Maulaa’s Photo, flowers, glitters, lace, stickers along with Ash’aar and Poetry meant for the Milaad Mubaarak-baadi. Through such events we could come across and gauge the talent and creativity of our children. In the corridor of Jamaa’at-khaana, behind the Qiblah, Non-Gas Cooking Competition was held in which 16 teams participated. 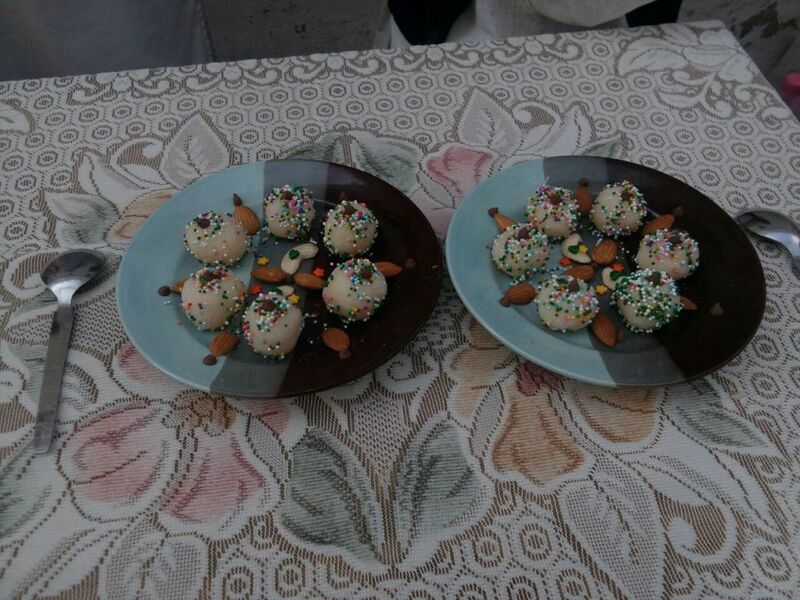 Nutritive Quotient, Presentation, Recipes and Taste were the main criteria behind this event. All of them were very thrilled and upbeat to make and exhibit their dish with something new and delicious. The event was minutely handled and judged by the experts who extended their graceful suggestions and invited girls for further training. Students of Madrasah recited different Ash’aar, Rubaa’iyaat, Qasaa’id and spoke on the distinctiveness of Dawr-e-Haatemi and the achievements of Aqaa Maulaa in Academics and Research. 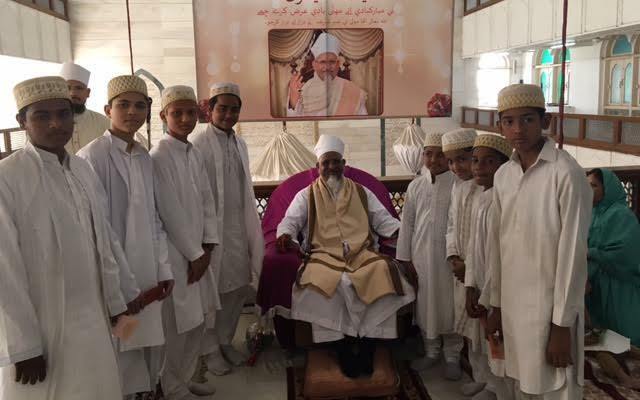 All were very delighted in presenting themselves and giving mubaarak-baadi when Aqaa Maulaa himself is present in the Majlis. Aqaa Maulaa did Tehseen and Hawslah-afzaai for all of them. 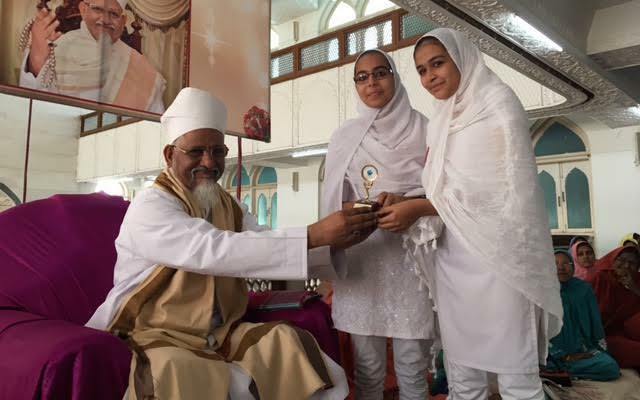 Aqaa Maulaa awarded with trophies, those who stood on 1st, 2nd and 3rd position in Card Making and Non-Gas Cooking competition. 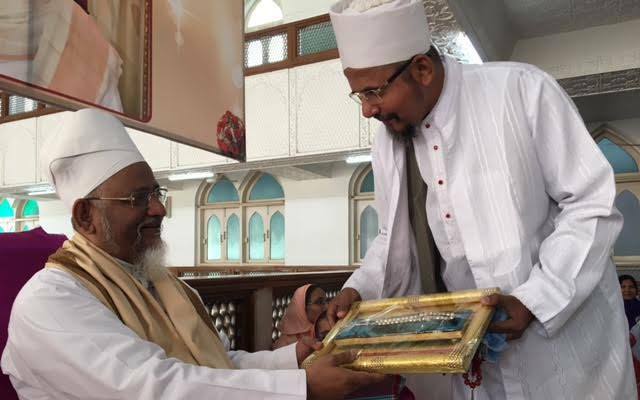 On behalf of at-Taiyebaat committee, Mukaasir Maulaa presented Hadiyah Faakherah of “Chandi ni Tasbeeh” to Aqaa Maulaa and did ‘arz for the Tawfeeq and Ta’eed for more ‘itaa’at and khidmat. 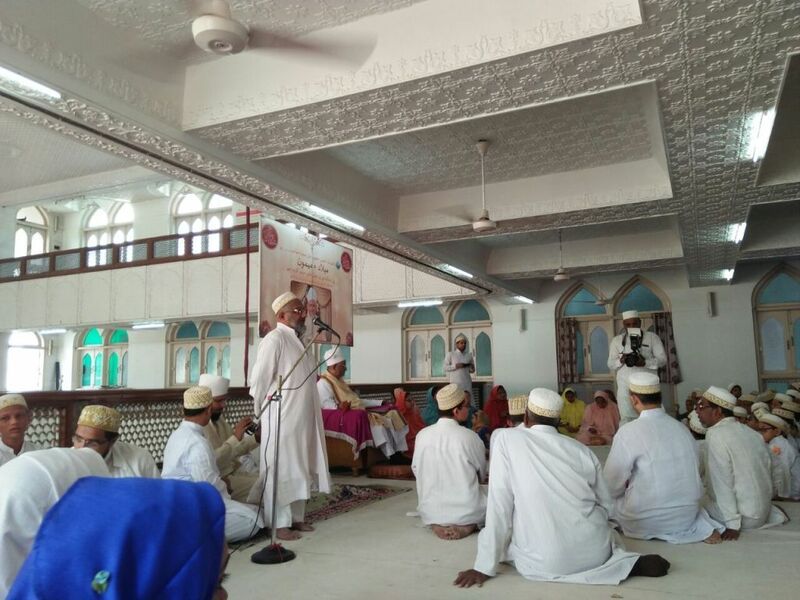 In the afternoon, Maulvi chowk, Badri Mohalla, was reverberated with the sound of cheers and was jam-packed with the enthralled audiences. It was all about the Sports and Games event which was held for quite a long long time. All of them from children to grand-parents enjoyed each and every game with the memories of childhood days coming alive in the minds of parents. 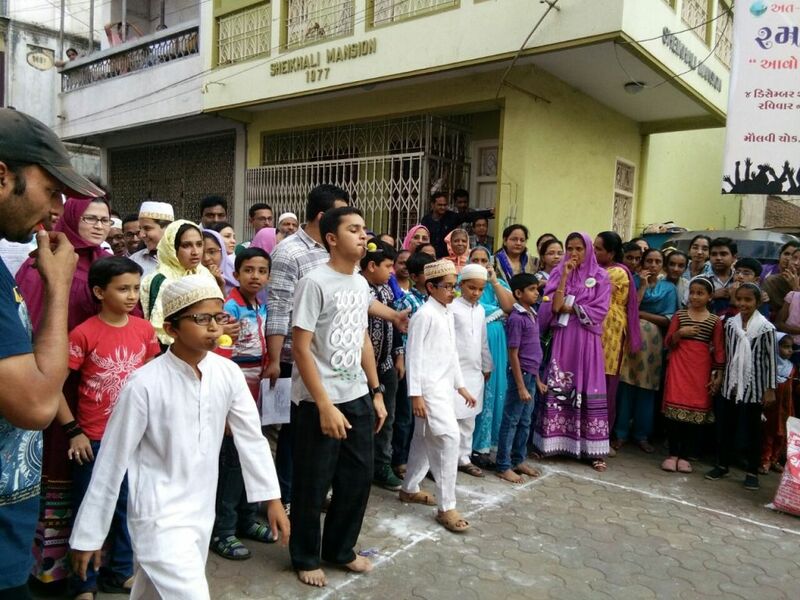 It truly proved a community event where muminaat-mumineen converged to celebrate Maulaa’s Milaad with some light moments and joyous episodes. After Maghrib Namaaz, Mukaasir Maulaa gave medals to those who won in various games. Funfair was the seal of all events. It started at 7:00 PM with 12 stalls of different food items and no one can imagine such a huge response from mumineen. Within an hour everything available in the stalls got finished and stall owners were forced to arrange more as by passing time crowd kept on swelling. Funfair turned out to be an instant success and mumineen along with their families has a great Sunday and a grand holiday.